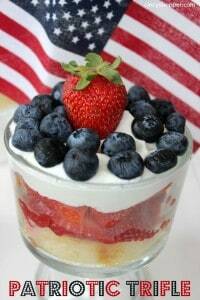 If you are having a memorial Day or July 4th grill out this Easy Patriotic Trifle Recipe will be great to serve up. We will be having a small grill out on Monday and I was whipping up some ideas this past few weeks to have for our Memorial Day and July 4th get together. 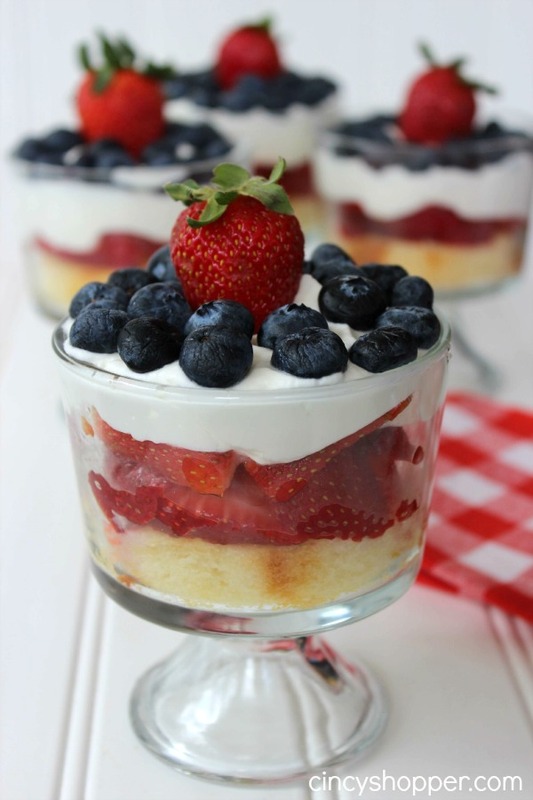 I really like quick and easy deserts so this Patriotic Trifle will be perfect. 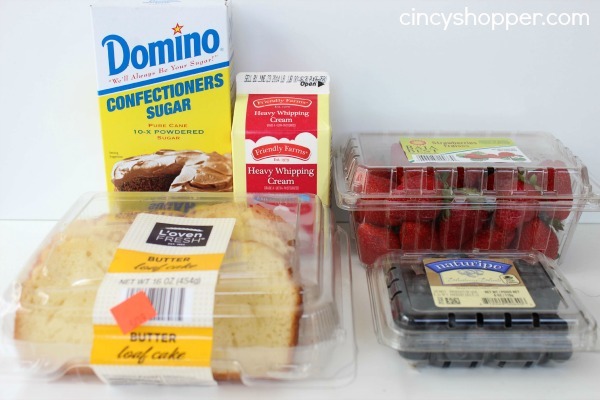 Berries and pound cake are so light but full of flavor. When you layer them up, they make a great combination. My family really enjoyed the Strawberry Shortcake Mason Jar Recipe I shared with you last week. 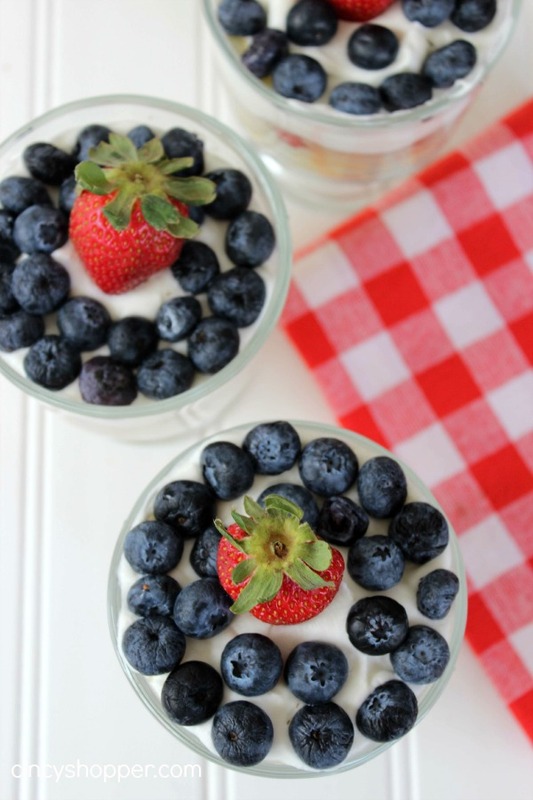 I am thinking this Patriotic Trifel with Strawberries and blueberries will be perfect. The colors are perfect for the upcoming holidays. I have been on a blueberry kick this week since I scored such a good deal on Blueberries. I already made some yummy and Easy Blueberry Crisp. If you are shopping for Blueberries this week, hit up Aldi for a great deal. Often I will make my own whipped topping. It’s always so light and yummy. If you are pressed for time and looking to keep on budget you could score some of the $1 each Cool Whip deals this week at Meijer, Kroger and Remke. You can use pound cake or even angel food cake in this Patriotic Trifle Recipe too! 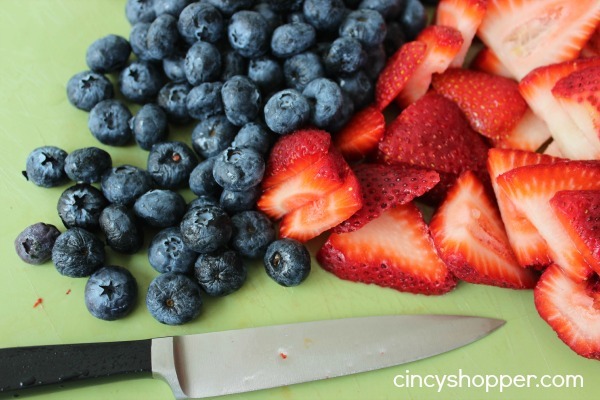 Be sure to follow my July 4th Pinterest Board. 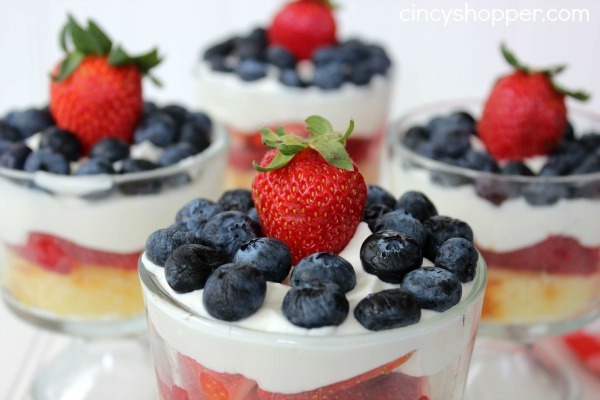 I have been and will continue to pin some great July 4th Ideas!